Right now, under London, a railway is coming together. Huge, state of the art stations are connected by vast tunnels formed by colossal boring machines. Fast, powerful electric trains will one day connect modern stations with glass platform doors and air conditioning and full disabled access. It's a railway that crosses London, a route suitable for the 21st century. So why the flipping heck are we renaming Crossrail the Elizabeth Line? The Elizabeth Line is a terrible name. I mean, let's just start with the fact that it's not a line. A line is a subdivision of a larger network. The Bakerloo Line is a route of the Underground. The Wirral Line is a route of Merseyrail. The Elizabeth Line is a route of... what? It's not the Underground, it's not the Overground, it's a route all on its own. 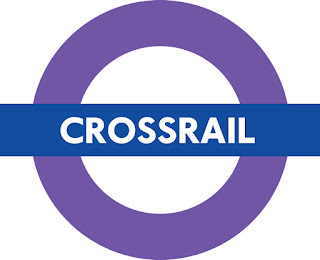 That's why they called it Crossrail and gave it its own roundel and everything. The Elizabeth Line is a terrible name. And Elizabeth is a clunky word anyway, too many syllables*. It's even got a Z in it, a letter only suitable for use in alien planets in Doctor Who. For hundreds of years we've invented nicknames for Elizabeths, Liz and Betty and Beth and Liza, precisely because it's such a misshapen word. There's a reason why "QE2" is a far more popular name for ships and hospitals and bridges named after the Queen. QE2 also includes the fact that, yes, there are actually two Queen Elizabeths, and is specifying that it is named after the second one. 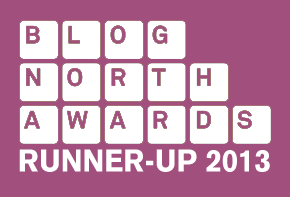 It's already being shortened to the Liz Line by internet "wags", which shows how badly it fits in the mouth: by contrast, no-one shortens the Metropolitan Line, because Metropolitan is a good, nice word. The Elizabeth Line is a terrible name. To return to my earlier point, though: Crossrail (as was) represented a rare moment of large scale investment in this country. An actual piece of forward thinking, built at great expense, to make life better for the residents of our capital city. It's exactly the future we should be looking towards. And now it's saddled with a name that drips with feudal obedience, with a thousand years of monarchy and privilege. People from other countries are going to come to London and giggle behind their hands at us. Having a Queen is bad enough, but you know, we're just too nice to ask her to leave; an actual revolution would be a bit common and not-British. But to still be naming stuff after this woman, to continue to pay homage to a little old lady just because one of her great-great-great(x30)-grandparents killed another man on a battlefield and said that God did it? That's just embarrassing. It's taking everything that said "Britain is modern", chucking it in the skip, and replacing it with "weren't the old days great?". You may as well have done the stations out with mock Tudor beams, or run steam trains on the tracks. The Elizabeth Line is a terrible name. But the thing that makes me angriest about it, and the real reason I've been festering over it all day, is it represents how rubbish the United Kingdom has become over the last few years, and how awful its future looks. Important pieces of public infrastructure are subject to the whims of idiots with ridiculous ideas. Concepts that have taken workers and designers and engineers thousands of hours to craft and construct have been overridden by politicians desperate to leave a tribute to their own ego. Ideas that worked are being tinkered with or destroyed for random ideologies - not because they're failing, but because people in power just don't like them. It's the NHS, it's Network Rail, it's local councils, it's parks and libraries and buses. It's all the little things you liked about this country being ground into the dirt because some of some shithead in London. It's Crap Britain, and every day it gets worse, and every day it makes me more and more depressed. The Elizabeth Line is a terrible name. *with apologies to my mum, whose middle name is Elizabeth. And it looks like Liverpool will have to pay £2bn to fund its own HS2 link! That's a WHOLE DIFFERENT depressing shitstorm. Ummm..... quite a lot of tubegeek types shorten tube lines to "Met" and "Picc"; I can't see this shortened to the "Eliz" though. Plus it means that the shiny new "Crossrail Place" in Canary Wharf will need a new name now. It's a dire name come from a man doing his best to tug the whole capital's forelocks in one go. Viva la republic is what I say. As has been remarked above, (we) Londoners almost without exception refer to the Met, Picc and Vic lines. Crossrail (and I was in in the start of it in the late 80s) was the name of a concept; surface lines across London. We developed the East-West Crossrail and the North-South Crossrail (now the enhanced Thameslink). It was never explicitly intended as the name of the line. Just no-one got round to formally considering the issue until very late. If you have chip on your shoulder about it being named after the longest-reigning Queen ever, who is I'd suggest rtaher more admired than derided throughout the world, that's your issue. But the Lizzy line will do just fine. I have NEVER in 46 years as a Londoner heard anyone refer to the Met Vic and Picc lines. And Scott is quite right, calling Crossrail this silly name sums up the concept of a semi feudal state that the likes of Boris Johnson would love to drag us back to. I so long to live in a modern nation, that values its people and wants to do its best for them, not one that creaks on with a hugely unrepresentative democracy, an economy that makes cattle of us all and seeks to devalue infrastructure and public service as unnecessary costs that are there to be diminished or sold off. What's Crossrail 2 to be called? The William line? How about the Livingstone Line? Sounds a lot better and would be a fitting tribute to the man who actually got all of London's current projects going, rather than cancelling anything that wasn't fixed down and basking in the reflected glory of his predecessor. Tube geeks are hardly representative people. No one says Met Picc or Vic! Just because nobody you know calls it the Met doesn't mean that nobody calls it the Met. However, that doesn't detract from the fact that The Elizabeth Line is a bit silly. OK, they can name the line "Elizabeth Line", that makes sense, but not the whole concept of Crossrail to "Elizabeth Line". What happens when Crossrail2 is referred to? "Elizabeth II" proposals? 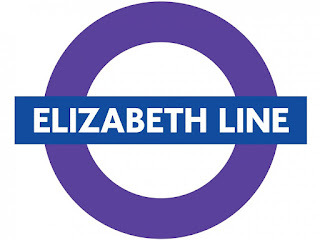 As Circle, Central, Bakerloo etc.. are to Underground, then Elizabeth should be to Crossrail. If 'Crossrail' is part of the Underground then calling it the Elizabeth line is fine: after all it's not the only line to cross London (Thameslink, East London, Central, Victoria.....). But if it's quite separate from the Underground then it's surely a railway in its own right, more than simply a line. And regarding the name: we have a Victoria line; we have (and have had) Victorias in London, Sheffield, Nottingham and Manchester. The Picc-Vic was, of course, the name for Manchester's version of Crossrail, planned (and canned) in the 1970s. So it's agreed: everyone calls it the Met Line, apart from the people who don't. Case closed! Cheeky. My name's Elizabeth and it's beautiful. Lots of places are called Elizabeth and Victoria in the world, and after Kings like Georgia, Charleston, Louisville etc. I know the Royalty connection is rubbish, but the names are nice. Scott's not a fantastic name. Do you want Queen Tracey?